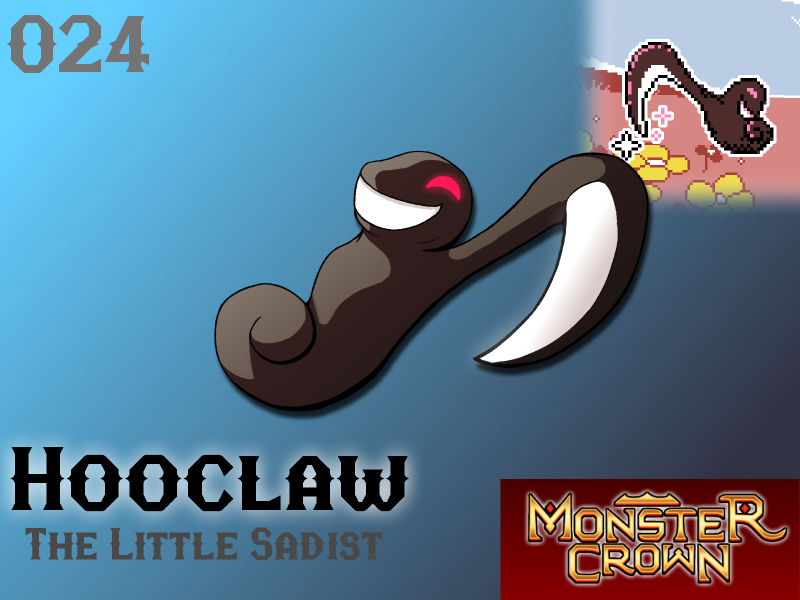 Our Vicious starter - Hooclaw! Hooclaw dwell in grim areas, such as graveyards or forests with reputations of misfortune. Hooclaw is the manifestation of a malicious intent. Once a dark, formless spectre, it can now manifest tangible, physical extensions of itself - allowing it to affect the world around it. Tamers are recommended to use caution when employing a Hooclaw. While they do obey contracts and travel with their tamers, they have no need for sleep and often seem to follow an agenda of their own during the slumbering hours - one with little regard for their Tamer's well-being. Will Hooclaw make your team? Out of wondering, is his smaller arm in sort of a curled-up pose like he's thinking whether to reap your face or something, or is that an arm at all? XD When I first saw him, I figured he was shaped like a music note and the scythe was his tail. He only has one arm, the curl is his tail. 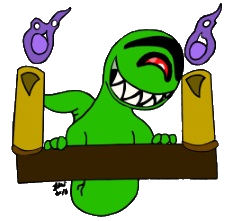 Picture him as a small dark spirit that morphed into a more physical body out of a desire to slice! Hey, no pressure, but how is it going with monster of this week? Randwarf wrote: Hey, no pressure, but how is it going with monster of this week? Unfortunately we had something come up last week, but there'll be a new one tonight! Looks like it'll be tomorrow now, sorry about that. Our artist is spending some time away with family but we're working on getting our next starter out ASAP!